Monday blues, alarm clock snooze…! Why Be Blue? This sounds like a tune that too many of us will find to be all too familiar. Time and time again we drag our bodies into the routine that is daily work without reflecting on the fact that the practices that we engage in throughout the day maybe the causative factors for our working woes. How we sit at work can have profound effects on our day to day stress and mental health. Recent studies have found that extended periods of sitting have now been fundamentally linked to degradation in mental health. Cardiovascular issues such as heart attacks, heart disease and the risk of hypertension are also suggested to be increased with prolonged sitting. Sitting for extended periods of time may even lead to a reduction in life expectancy. Why Be Blue – What can we do to make a change today? Nothing changes without effort, depending on how willing you are – will affect the results. Take a break! For every 30 minutes of sitting, spend at least one minute standing up. Every time you head to the washroom, take an extra minute to re-engage your muscles with a stretch. Need to get to another office or another floor? 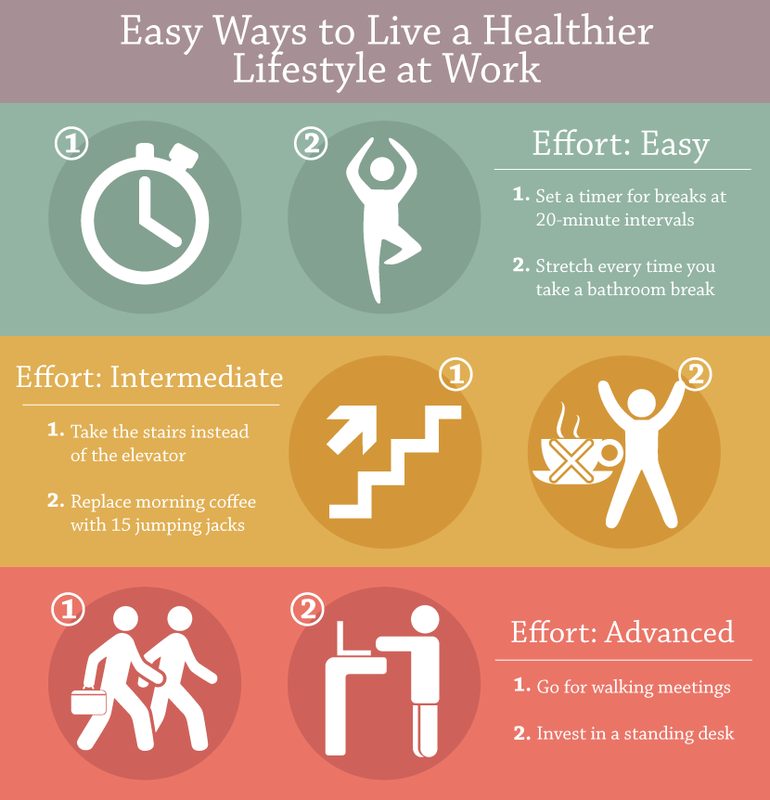 Take the stairs instead of the elevator, not only will you be promoting a healthy lifestyle for yourself – you might even encourage your colleagues to follow you! Sick of sitting in-front of that screen? a hot desk or even a standing desk will change that environment and really help you to realise how much superfluous time is spent in front of that monitor. Need to talk to a colleague? why not go for a walking meeting rather than sitting down in their office, significant benefits and better outcomes can be achieved simply by removing yourself from the office environment.